4x4 In a Luxury Van!!! This Black 9-Passenger High Top Chevrolet Explorer Conversion Van is the best-selling full size van on the market. It offers the best in power and towing, while the ultra-luxurious custom Graphite Leather Interior and Black Exterior appointments keep the whole family stylish and comfortable. And with 4-Wheel Drive, you can take the family anywhere you need. The ride and handling is also amazing with it's Eaton Touring Soft Ride Suspension and Custom 20'' Chrome Wheels. Compared to any full size SUV, this Chevrolet Explorer Conversion Van is a step up in every sense of the word. Built on the sturdy and safe 2500 Chassis, this van is no larger than a Chevrolet Suburban, but its shorter front end and tighter turning radius make getting around town a breeze. You'll love the uncluttered interior which allows for maximum legroom, headroom, and storage space. Using yours for a long trip or vacation? Perfect. Comfortably fit your family of 9 in plush leather seats and fire up the 29'' HDTV with Blue Ray Player for an entertaining and peaceful drive for both the passengers and driver! Plan on using yours as an everyday driver for hauling the kids around? Great! Loading and unloading children of all ages is easy with the floor space, headroom, and wide center aisle. This Chevrolet Explorer Conversion is the perfect marriage of size and sophistication. Price includes: $3,500 - General Motors Consumer Cash Program. Exp. 05/31/2018 2017 Explorer Van Bonus Cash. 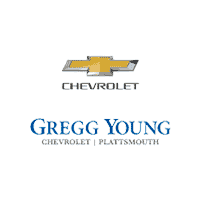 Price includes: Processing Fee, $3,500 - General Motors Consumer Cash Program. Exp. 10/01/2018 Price includes: Processing Fee, $3,500 - General Motors Consumer Cash Program. Exp. 04/30/2019 Price included $2500 2018 Explorer Van Bonus Cash. See dealer for details.